The ruffed lemur (Varecia variegata) is a primate with thick fur that lives in the forest. They usually give birth to twins and then leave the babies alone in the nest while they go looking for food. 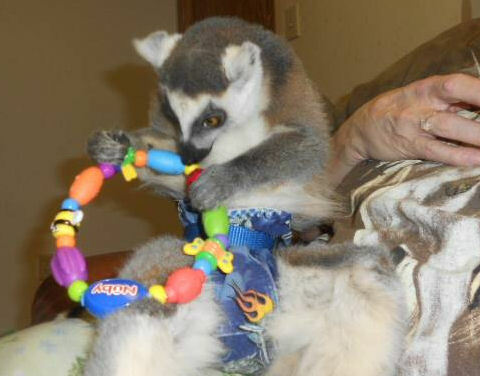 This is an unusual behavior for lemurs. 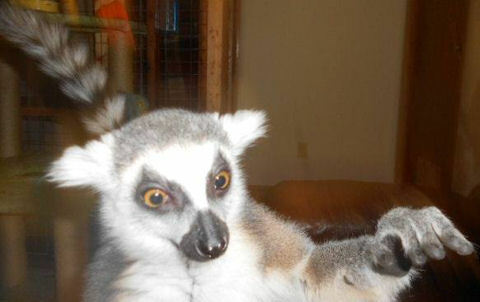 Here you will find more information about keeping ruffed lemurs in captivity.